After releasing music on labels like Visionquest, URSL, Einmusik and Dazed & Confused, Bardia Salour lands on Making You Dance Records with a stunning original! "Six Bullets" is a beautiful journey that demonstrates how musically versed Bardia is as a producer, employing his signature elements of melodies, synths and vibrating drums. 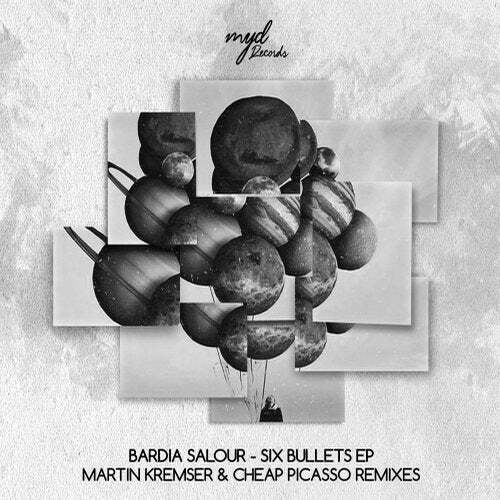 Well respected for appearing on numerous high profile labels, Martin Kremser ups the energy in his remix using sultry synths, syncopated drums and mesmerizing effects. Concluding this massive package, Cheap Picasso creates a club-ready reinterpretation, complete with fine-tuned drums, looped synths and a striking melodic line.